Bulbo is an innovative and domestic brand which brings man closer to nature. They create innovative LED lighting to grow vegetables indoors. The Italian company Bulbo was started by Lorenzo Antonioni and brings nature and technology together in a remarkable way. 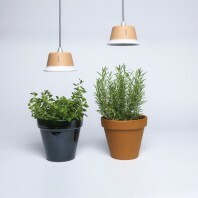 Light for Food The Cynara is an easy to use and wonderfull lamp to grow plants or just to enjoy on it's own. With the Cynara lamp you can keep your plants growing all year long, how great is that? This locally-produced wonder by Bulbo makes it easy to transform the darkest corners of your space into a lush oasis. 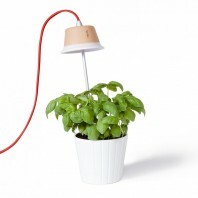 Light for Food The Quadra is an easy to use and wonderfull lamp to grow plants or just to enjoy on it's own. With the Quadra lamp you can keep your plants growing all year long, how great is that? This locally-produced wonder by Bulbo makes it easy to transform the darkest corners of your space into a lush oasis. “We have to start with decolonizing our mind. Urban dwellers should turn themselves into farmers. This is the real adventure, where there is an opportunity, even if you are “metropolitan”. We do not want passive consumers any longer, we want aware co-producers, active people, trained to the change.” – Carlo Petrini (2013) “Slow Food” Founder and President. Bulbo is an Italian start-up born from the confidence that food revolution starts from our homes, turning them into places of knowledge and protection of nature. Bulbo want’s to promote a relation between urban people and nature by raising city dwellers awareness about agriculture through a direct day-by-day experience. 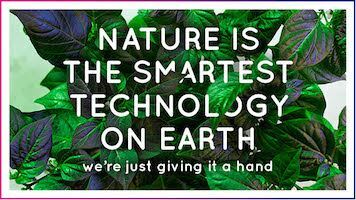 They envisage smart and creative solutions for indoor farming in urban environments all year round. Bulbo designs and produces highly innovative LED lights for growing vegetables, herbs, flowers and succulents at home. Their products are beautifully crafted and incredibly easy to use. They perfectly match the natural element and combine functionality, advanced technology and Made in Italy top class design. After several years of scientific research and experimentation, in 2012, Bulbo won the Spinner European competition which provides funds to young entrepreneurs in order to promote research and create business opportunities in the field of technology. From the very beginning they tried to apply the same principles both to agriculture and industry by looking for smart solutions for industrial production in times of crisis. The entire production process is made in Italy, working along with specialised artisans and using high quality materials only. The project, which started in 2009 as a technological research in the Industrial Design Faculty at the Politecnico di Milano, has developed its scientific research in collaboration with Research Center in Urban Environment for Agriculture and Biodiversity, Department of Agricultural Sciences, University of Bologna – Alma Mater Studiorum. He has been spending the past 5 years working on the interaction between light and nature. After his MA at Politecnico di Milano he has been collaborating with Danese Milano on lighting research and some experimental projects. 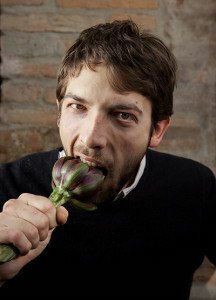 Initiator and founder of Bulbo, everyday Lorenzo Antonioni imagines and develops with love new solutions and products.